The integration of teaching and research is the foundation upon which the WWU chemistry faculty builds the undergraduate curriculum for our chemistry majors. This educational model is supported by Western's mission statement which states that the university is "dedicated to the pursuit of truth, learning and the dissemination and development of knowledge, and service to the community." While "this mission is addressed principally through teaching", the statement further affirms that "the University strives to develop new knowledge and to apply that knowledge, where appropriate, to the solution of problems." My collaboration with undergraduate chemistry students addresses each element of the mission statement quoted above, and we work together to achieve common goals. "The integration of teaching and research is the foundation upon which the WWU chemistry faculty builds the undergraduate curriculum for our chemistry majors." The initial step in my development of collaborations with students is the selection of a research problem and deciding how to divide it into suitable projects that are appropriate for an undergraduate student to pursue in the course of one or two years. Given the fast pace and technical complexity of chemical research, the responsibility for selecting research problems and attracting external funding to support their investigation rests with me. Funding to support faculty-student collaborative research in chemistry is available on a competitive basis from federal agencies such as the National Science Foundation and private foundations like the Research Corporation. Descriptions of the research projects available in my laboratory are available for students in the Chemistry Department Office or via my faculty web page. (Each year during departmental advising, chemistry majors are encouraged to consider pursuing collaborative research projects with faculty members. Students are encouraged to meet with 2-3 faculty to discuss potential research projects and to provide the student and faculty member the opportunity to determine whether they are a good match for a collaborative working relationship. When a student and I come to agreement to work together, I ask that they commit to three quarters of research (typically 3 credits per quarter) and frequently I can offer them an externally-funded stipend so that they can work on the project full-time during the summer preceding or following their academic year research experience. Students participating in collaborative research with me sign up for Independent Research (Chemistry 201, 301, 401) or Honors Research in Chemistry (Chemistry 498), and most often begin their research project during their junior year or at the beginning of their senior year at Western. To develop and execute a detailed plan of experimentation to address the research problem of interest. Students learn how to use the scientific method to try to find an answer to an unsolved problem. In addition, this aspect of the collaboration provides students the opportunity to gain hands-on experience with a range of chemical instrumentation and methods both on campus and via visits to off-campus laboratories. To develop critical thinking skills to analyze the data gathered, and to understand it in the context of the research plan and the scientific literature. Since students perform the experiments, they have the most detailed knowledge of which experiments were successful and of what pitfalls they encountered. I bring to the collaboration a broader knowledge of the research area and of what methods or techniques can help overcome technical difficulties or resolve ambiguous findings. Together, we compare the results with what we expected as well as with those published in the literature, and then decide to how to proceed further. From time to time, the research problem may have to be reformulated, and frequently the plan of study will need to be modified during the course of the experimentation and analysis. To learn how to work independently and as part of a research team. I design undergraduate research projects so that each student has responsibility for a significant portion of a project, but also so that collaboration with other students is necessary for the effective completion of the project. In this manner, students can clearly see the results of their own hard work, while learning that working as a team enhances their productivity and the overall quality of a research project. To learn safe laboratory practices. 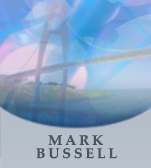 Scientific research is an exciting adventure, but one with some risks. I ask students to make sure that there is always someone else working in the laboratory when they are, and that they wear proper safety equipment and clothing. Students learn to dispose of waste materials generated during the course of their research properly and promptly. When designing experiments, we think through ways in which to minimize the amount of waste materials that will be generated. To develop writing and speaking skills to disseminate the research findings. Critical to the success of a scientific endeavor is the communication of the results to the scientific community as well as the public. My students prepare written reports quarterly in which they describe the progress on their research project. At the conclusion of their research project, students give poster or oral presentations describing their studies at a variety of scientific venues. I use the written reports as well as the materials used in the poster and oral presentations to write reports to funding agencies and manuscripts to be submitted to peer-reviewed journals. In my mind, success at research draws upon personal qualities�enduring interest and enthusiasm, resourcefulness, and tenacity�which are quite different than those needed for success in the classroom. Many undergraduate students, rising to the challenge of advancing science, are able to make remarkable progress on significant research problems. Watching a student gain confidence by contributing to science through undergraduate research, and by communicating his or her scientific results to others, is one of the greatest rewards for me as a faculty mentor. "Watching a student gain confidence by contributing to science through undergraduate research, and by communicating his or her scientific results to others, is one of the greatest rewards for me as a faculty mentor." For the past two years, two undergraduate chemistry majors, Autumn Burns and Melissa Pease, and I have participated in student-faculty collaborative research focused on the development of solid materials called heterogeneous catalysts. The overarching goals of my research program are to develop new catalysts for removing sulfur and nitrogen impurities from fossil fuels, and to understand the fundamental surface chemistry involved in these processes. On the applied side, we hope to make the industrial processes used to remove sulfur and nitrogen impurities more efficient and effective by developing better catalysts. On the fundamental side, the detailed study of the rearrangement of atoms that takes place on the surface of a catalyst provides important insights into how surfaces participate in chemical reactions. 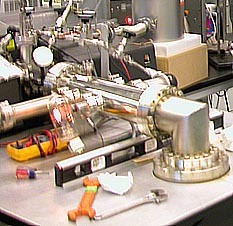 The specific goals of Autumn and Melissa's research are to synthesize selected catalysts in a new class of materials�oxide-supported metal phosphides, to characterize these catalytic materials with a variety of chemical techniques, and to evaluate their effectiveness for removing sulfur impurities from a model organosulfur compound called thiophene. Autumn's target catalysts are a series of cobalt phosphide and cobalt-nickel phosphide materials, while Melissa has focused on a series of ruthenium phosphide catalysts. 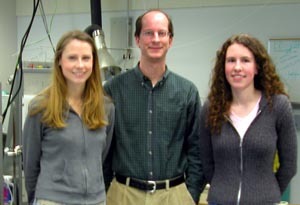 When Autumn and Melissa first joined the research group, I met with them frequently to provide them with background information on my research program and specific details concerning their projects. At this time I introduced them to the chemical literature in our area of study and helped them to decipher the concepts and technical details encountered in the articles they read. I also paired Autumn and Melissa with experienced students who introduced them to the day-to-day operation of the research laboratory, including safety precautions and hazardous waste disposal procedures. This form of peer mentoring is very helpful as there is a lot to learn before students can work independently on a project and I am not always available to help. When Autumn and Melissa became comfortable working in the laboratory, their initial independent work focused on reproducing experimental results from the literature, or from the research of a previous student in my group. Reproducing the work of others provides a strong boost to a student's confidence, helping them to realize that they have the necessary skills to begin independent, high quality experimentation. It also indicates to me that the students are beginning to perform research at a level of expertise where their results are reliable and can withstand the scrutiny of peer review if they are eventually included in a manuscript submitted to a scientific journal. During the academic year, Autumn and Melissa typically work 10-15 hours a week on their research projects. As they have learned, chemical research has busy and slow times, so there are usually opportunities to study for classes while they wait for an experiment to reach completion. Camaraderie develops among the students working in the laboratory from my research group as well as from the groups of other faculty members with whom we share the space. Since my office is close to the research laboratory, students drop by frequently to report the outcome of an experiment and to seek advice on how to proceed next. I also try to walk through the lab frequently to touch base with students and to help troubleshoot problems with experiments or equipment if necessary. It is during these interactions in my office or in the laboratory where students really develop their critical thinking skills as we try to understand the outcome of a particular experiment and use this information to guide us in making plans for future experiments. For Autumn and Melissa, the experimental results they obtained led us to focus on preparing particular catalyst compositions having high activity for sulfur removal. In addition, their studies have provided important insights into what parameters most strongly determine catalytic performance for oxide-supported metal phosphide materials. Fully understanding the properties of their catalysts led both of them to travel to Richland, WA to carry out sophisticated measurements at the Environmental Molecular Sciences Laboratory (EMSL) user facility of the Pacific Northwest National Laboratory. 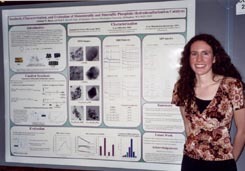 In addition to performing experiments at the EMSL that were not possible at WWU, Autumn and Melissa gained experience interacting with recognized experts in the field of materials characterization and with how scientific collaboration works. "When funding allows, I also like to take students to regional and national meetings of the American Chemical Society." With significant results in hand, the next step for students working in the research laboratory is to develop their writing and speaking skills so that they can document their studies and communicate their scientific findings to their peers and to the scientific community beyond WWU. For me, the students keep detailed laboratory notebooks and write quarterly reports that I use to establish a record of their research work. In some cases, these quarterly reports will develop into a more ambitious document to satisfy the intensive writing requirement in chemistry (Chem 405) or a thesis for partial fulfillment of the requirements for departmental honors in chemistry. For their student peers at WWU, I have students involved in research with me give either poster or oral presentations during Scholars Week. These presentations provide students (and faculty) at WWU the opportunity to learn about the research accomplishments of students like Autumn and Melissa, and also help to encourage new students to get involved in undergraduate research. 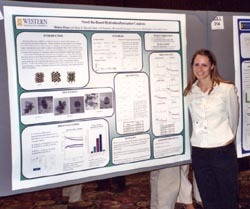 When funding allows, I also like to take students to regional and national meetings of the American Chemical Society where they give poster presentations in sessions along side graduate students, postdoctoral fellows and established scientists. While sometimes intimidated, the undergraduate students who have participated in these sessions find them to be exciting and very educational experiences, reinforcing for them the quality of the research that they have done and providing opportunities to meet and interact with other scientists. I am proud to note that three undergraduate students from my research group, including Autumn this year, have been selected to receive $250 poster prizes at national American Chemical Society meetings in the last four years. "I believe that faculty duties cannot be viewed as a zero-sum game between teaching and research as some might suggest. Instead, some of the best teaching of undergraduates takes place in the research laboratory." I am fortunate to be able to use the research findings of many of the undergraduate students with whom I have worked in manuscripts I write and submit to peer-reviewed journals. These manuscripts are co-authored with the students and are crucial to advancing my research program. In this way, the research I do with undergraduate students is a collaboration in the true sense, as each of us benefits from the pursuit of these studies. The importance of a significant research experience for undergraduate science majors is becoming increasingly accepted at predominantly undergraduate institutions. In my discipline, the American Chemical Society, the body that certifies bachelor degree programs in chemistry in this country, "strongly endorses undergraduate research as one of the potentially most rewarding aspects of the undergraduate experience". In developing faculty-student research collaborations, it is critical to keep in mind that the education of the undergraduate student is the most important outcome. However, I find that what is best for the student goes hand-in-hand with what makes a research project in chemistry capable of attracting external grant support and of being published in peer-reviewed journals. Students working on original research problems in the laboratory frequently find this to be far more stimulating and exciting than the standard experiments carried out in laboratory courses. As a result, I believe that faculty duties cannot be viewed as a zero-sum game between teaching and research as some might suggest. Instead, some of the best teaching of undergraduates takes place in the research laboratory. Finally, student faculty collaborative research activities often provide the opportunity for students to view faculty in a role with which they, the students, are quite familiar. Just as faculty evaluate student performance, the peer review system places a faculty member's work under scrutiny. My self-doubt about my research ideas and conclusions in the face of external review is a healthy reminder to me of what students experience throughout the academic year. For many reasons, therefore, I find student-faculty collaboration on research projects to be an integral and very important part of my job at Western.